When your team only has six wins in a month extra, unannounced promotions are nice. 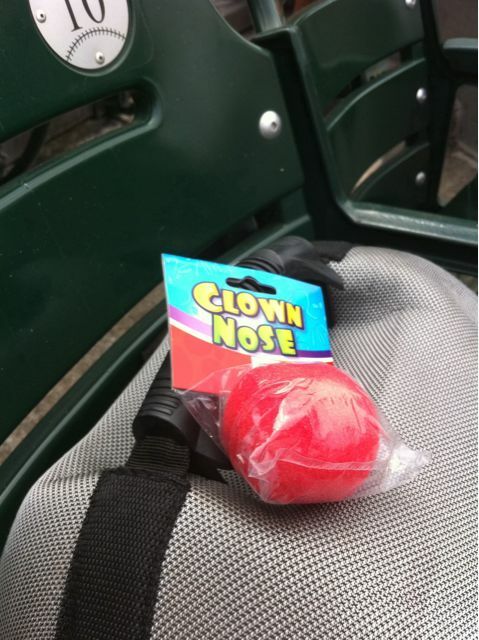 Clown noses are a little too suggestive of the team’s play, however. The team was celebrating the Detroit Thanksgiving Parade and did give out clown noses. Garza pitched for the Rays. He had no hit the Tigers last week in Tampa. This week he pitched well, but not well enough. The Tigers won 3-2. Around the fourth inning it looked like rain at the park and it looked worse on radar. The rain came in the fifth, but never was very strong. The teams played through it. Still when there was concern about a shortened game the Rays tying the game in the sixth and Ryan Raburn hitting a two run home in the sixth to retake the lead were very exciting. My family and I watched the fifth through seventh in the Tigers Den. If the rain really starts to come down the concourses fill up at Comerica. If you have access I recommend heading for the Tiger Den or Tiger Club at the first sign of rain. Finally, although pitching Verlander may have had some small part in the win along with a resurgement Raburn I will point out I wore my Erie Seawolves hat today. 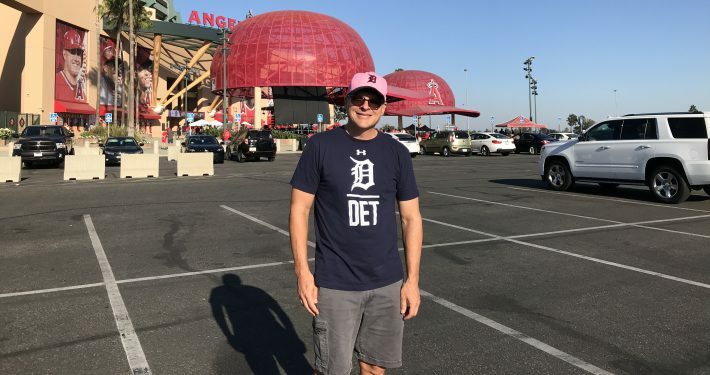 I also wore it to the game where the Tigers broke a seven game skid. I may be on to something.